Since there is a high amount of reports of Sound Issues, please follow the bug format and be as descriptive as possible. Some of the issues may be with drivers on your headsets, others will be addressed in the patch on 2017-04-06. If you still have issues after 2017-04-06 please contribute to this thread. Thanks. Okay! since the other posts have been deleted due to not following bugreportformat.. lets have another shot at this.. When encountering multiple sounds.. as in bombings nearby or when 3-4 players or more is having a shootout (lobby 100% of the times).. or when two cars are driving nearby I get crazy audio stutter/distortions. The volume of this stutter only gets louder and louder as if it is a feedback of sorts. While this was happening for me during the BETA last weekend 18th-19th of march i got really bad framedrops during the "feedback" however during EA 23:rd-24:th the frames seem to have gotten better atleast. When teleporting into the plane for airdrop the soundissues dissapear untill you're on the ground close to bombings or bigger shootouts. During Beta I first verified the gamefiles VIA steam. No issues encountered. I then re-installed the game (SSD) - no difference. I then installed it to a normal raptor SATA and had the same issues and longer loadingtimes ofc so I re-installed it again to the SSD and the same audio issues were still there. I did the same thing as above with the Early Access install and it was no difference. I have reinstalled GPU drivers and my audiodrivers. Nothing helped so far. I have swapped the graphical settings between minimum - average - maximum, it made no difference on sound. I adjusted the soundlevels and it made no difference. I tried other headphones and a different output, made no difference for me or the stuttering. In the end I even Optimized the game with the crappy "G-force Experience" and disabled V-sync but it made no difference. When this stutter occur mid-game on the island.. say i am in a small town and someone is throwing a grenade, two people are shooting rapidly and a car drives by.. this stutter occur but it fades away pretty quick after some of the "different sounds" dissapear.. and then the sound is back to normal if there are no extra sounds for a couple of seconds. So its not unplayable for me unless im in the middle of a warzone heh. Hi, i have the same problem with sound. I've added this to the bug list guys, thanks for your reports. @Adam Barlow Please post your system specifications for us the developers can attempt to track down the issue. Thanks guys! Sorry about the trouble you're having with this. I am experiencing a large amount of audio distortion at all points in the game. Everything sounds like it's coming through a horrid filter. Somehow this is also linked to frame rate because it causes large frame drops, from my already limited frame rate, whenever a large amount of sounds happen (gunshots, explosions, cars, ext). This person also had the same issue but it seems his isn't nearly as severe as mine. As his seems to come and go as his description describes where mine is constant from the moment of installation. Began on 3-23-17, game started like this. I have tried all of the frame rate increasing options available, reinstalled my audio drivers and video drivers, reinstalled the game 3 times. Nothing works. The bug seems to be linked to the game's effects audio. I have turned off the effects volume ingame and it very slightly increases my framerate, making the game just barely qualified as "playable". I am currently using -USEALLAVAILABLECORES -malloc=system launch options. I have tried launching using -sm4 -d3d10 and -lowmemory none of them seem to increase framerate in anyway or fix the audio issue. Same problem here also. Heavily affects my fps. Same issue, usually in combination with large frame drops. Sometimes when opening the game all the sounds get louder and sound quality gets worse. This happens when 1/4 of the time and persists into games. Hate to sound like a broken record here but, likewise with the sound issue. I am getting this bug. It is awful. I am also having the exact same issue. I got placed into a game with heavy rain and it was like this throughout, unplayable. 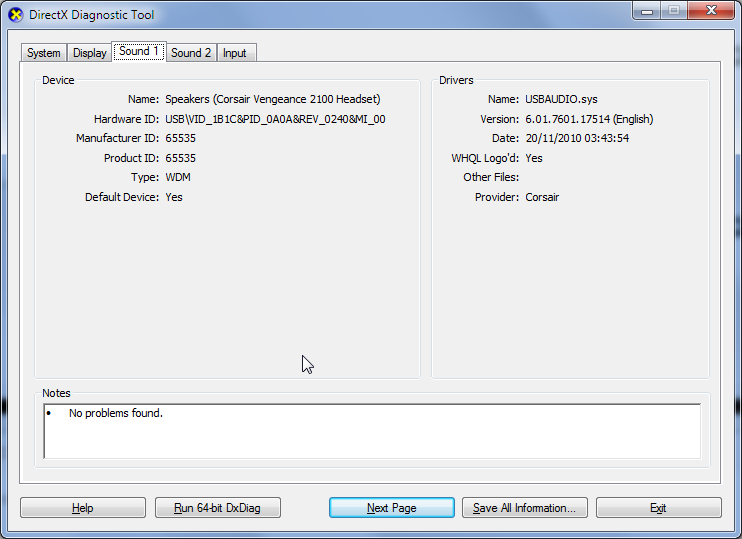 Audio driver, as I'm using a USB Corsair Vengeance headset, believe relevant. Using Corsair control panel, it's advised me it is up-to-date. My system wont play any sound for the game. And Before when it did there was no in-game voice audio. I have this issue that, by looks of it, hasn't been reported. When I find a match and load into the small island before the match starts the game sound starts to rapidly cut in and out as more people start to join and start making sound (shooting guns found scattered throughout the island). Im starting to think it's my headset which are Logitech g35's, however, all my other games work just fine with no audio cutting off. Am i the only one experiencing this? thats odd, do your friends have their headset connected to a different type of usb port? like usb 2.0 or 3.0? I have this issue with no headphones, using the a flatscreen as a monitor. It continues in game as well, when people shoot but to a much lesser extent.